Well, here we go. Another year is behind us. What can we expect for 2015...and beyond? 1) The word 'trinity' either describes a name or location where a major paranormal event will occur in 2015. 2) Russia's economy is on the brink of collapse...and it's going to get worse. The fight for Arctic oil, between the west and Russia, as well as Putin's attempts of annexation will continue to escalate...to a point where a second Cold War may take hold. Don't be surprised if the NATO's eastern European members ask for nuclear deployment along their eastern borders. This may take a few years to come to a head, but there are signs that it may occur sooner than later. 4) For the past several weeks, I have had a continuing vision of a well-known political figure and/or leader succumbing to fire. No other details. 5) I'm not going to go into specifics, but I strongly feel that otherworldly & multidimensional influence will continue to increase. This has been a long-term venture, which includes significant cooperation with world governments....but I feel that individual contact will dramatically escalate. Signs & messages are being communicated and deciphered. Our descendants are attempting to open our eyes to reality. 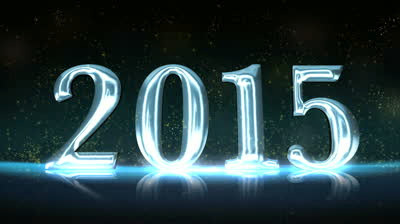 Did you have any predictions for 2014? Exciting list you shared with us for 2015, Lon! Praying and hoping to see a cure for Type 1 Diabetes very soon.